"12 Strong"; "Den of Thieves"; "Forever My Girl"; "The Leisure Seeker"
4. "The Mountain Between Us"
8. "The Lego Ninjago Movie"
9. "Star Wars: Episode VII — The Force Awakens"
10. "National Lampoon's Christmas Vacation"
Other recent favorites: "Elf"; "Home Alone"; "Polar Express"; "A Christmas Story 2"
• The documentary movie "42 Grams" is the story of Chicago chef Jake Bickelhaupt's evolution from running an illegal restaurant out of his home to becoming a culinary celebrity in less than a year, while fending off the toll it takes on his personal life. It screens at 7 p.m. Tuesday-Wednesday, Jan. 23-24, at Clinton Street Theater, 2522 S.E. Clinton St. For more: www.cstpdx.com and www.42gramsfilm.com. • The Portland Youth Philharmonic and Northwest Film Center present a multimedia collaboration of Richard Einhorn's "Voices of Light" and Carl Dreyer's "The Passion of Joan of Arc" as part of the 34th Reel Music Festival of music films. Local vocal artists perform Einhorn's oratorio to accompany "Joan of Arc" and Camerata PYP, In Mulieribus women's vocal ensemble and others join in for "Voices of Light." Details: 7:30 p.m. Friday, Jan. 26, Arlene Schnitzer Concert Hall, 1037 S.W. Broadway, www.portlandyouthphil.org. • A Carl Theodor Dreyer retrospective takes place at Whitsell Auditorium, 1219 S.W. Park Ave., Jan. 26-Feb. 4 (all movies except "The Passion of Joan of Arc"). The late Dreyer was one of the world's great directors, specializing in black-and-white cinematography. The rest of the lineup: "Master of the House," 7 p.m. Jan. 27; "Vampyr," 7 p.m. Jan. 28; "Day of Wrath," 7 p.m. Feb. 2; "Ordet," 7 p.m. Feb. 3; "Gertrud," 7 p.m. Feb. 4. Tickets: $6-$9, www.nwfilm.org. 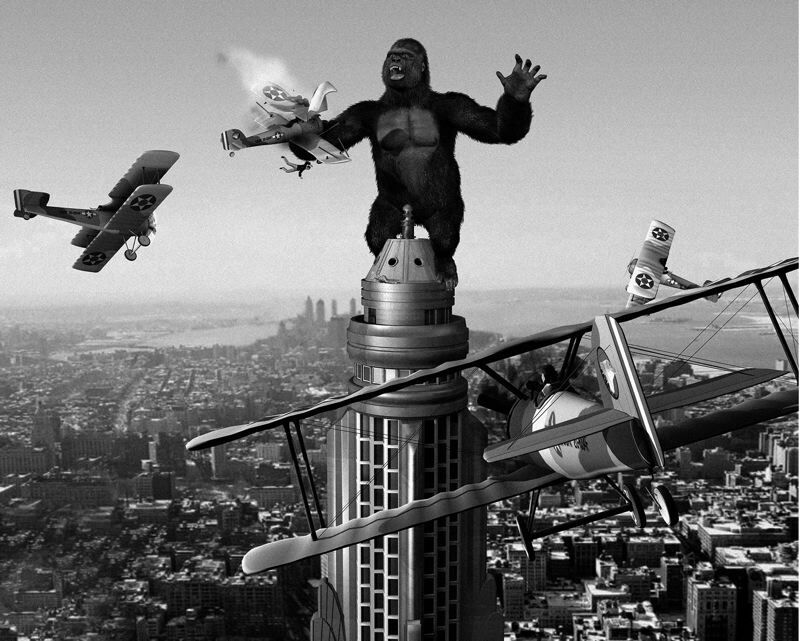 • The Northwest Film Center presents the original "King Kong," which at the time (1933) was the greatest spectacle that the film-going public had ever seen. It's presented as part of the film center's "Animated Worlds: Stop Motion Classics" series. It screens at 2 p.m. Sunday, Jan. 28, at Whitsell Auditorium. Tickets: $6-$9, www.nwfilm.org.